The bolero dance genre is an American style ballroom dance. It has early roots in the 18th century in Spain and Cuba, both evolving into different dance forms. However, it is uncertain which form was most influential in the current ballroom bolero dance. While in its early history it was danced by a female solo, today it is a social partner and dancesport dance genre. Moreover, the Cuban form traveled from Cuba to Mexico, Latin America. Eventually, it arrived in the United States in the mid-1930’s. In addition, the bolero is sometime referred to as rumba bolero but is, in fact, the precursor of the ballroom rumba. Furthermore, It is usually danced to the slowest tempo rumba music rhythms, anywhere from 96 to 120 beats per minute. 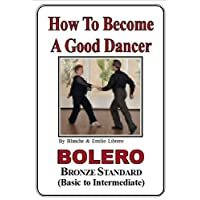 The bolero dance is a graceful, slow dance that incorporated movements from rumba, tango and waltz. However, unlike most ballroom dances uses both Cuban hip motion and rise and fall created through the body more than the feet. Also, it uses a rotating forward or backward slip pivot. Normally, the slip pivot is left turning and contains many similar movements, patterns and techniques as rumba, cha cha and mambo. In addition, there is a long gliding side step on the first two beats of music followed by the rotating slip pivot that uses rise and fall. Ane the partners dance close giving it the appearance of tango at times. The present form of ballroom style bolero dance is danced slower. It is done to a newer type of Latin music than the box rumba, which is faster. It has the appearance of subtlety. But in fact, requires a great deal of strength in the dancerin order to achieve the desired gliding and smoothness of this dance. This dance is less popular in social dance venues than it once was. However , it can still be found among the American style rhythm competitions and in performances. It is considered a sensual romantic dance and the movements elicit a type of passionate response. Still, the bolero dance is still a favorite dance among more accomplished American style rhythm dancers. 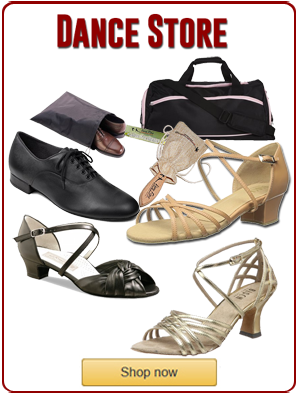 Read Different types of dance styles here!